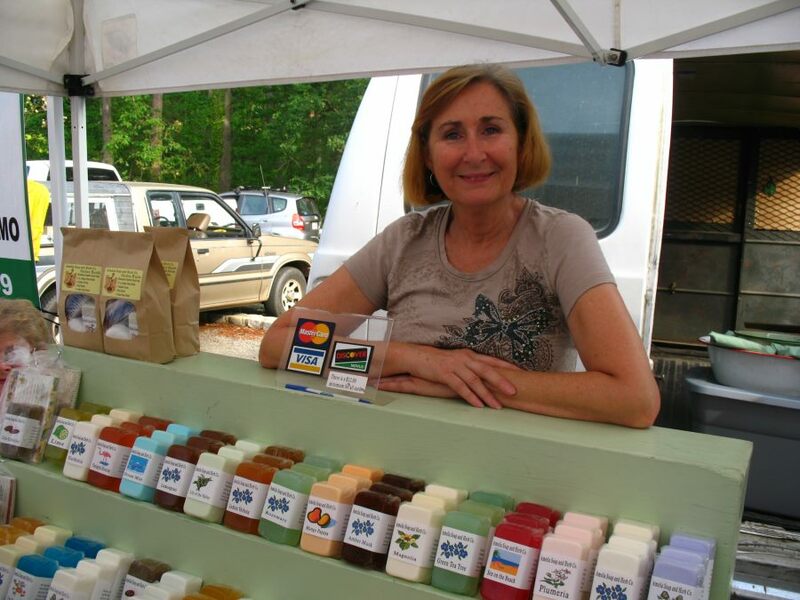 Janice McKinney of Amelia Soap & Herb Company has been making soaps for 16 years years. She creates goats milk and glycerin soaps as well as balms, salves, lotions, and kits for various skin types. Her specialty soaps for gardeners and kitchen folks clean and comfort worn out hands with little bits of pumice, aloe, and even coffee. Her handcrafted products are perfect go-to gifts at totally reasonable prices. I got her rosemary-peppermint lip balm as a gift last year, and I am still loving it! Her lavender laundry sachets and organic catnip cat toys make great gifts, especially for fastidious cats. Share, Like, or Comment on this post on Facebook, and you’ll be entered to win a cedar soap block. Don’t let your hand-made Honeysuckle Soap get scummy! Use a soap block! We’ll announce the winner at 8pm on Friday. 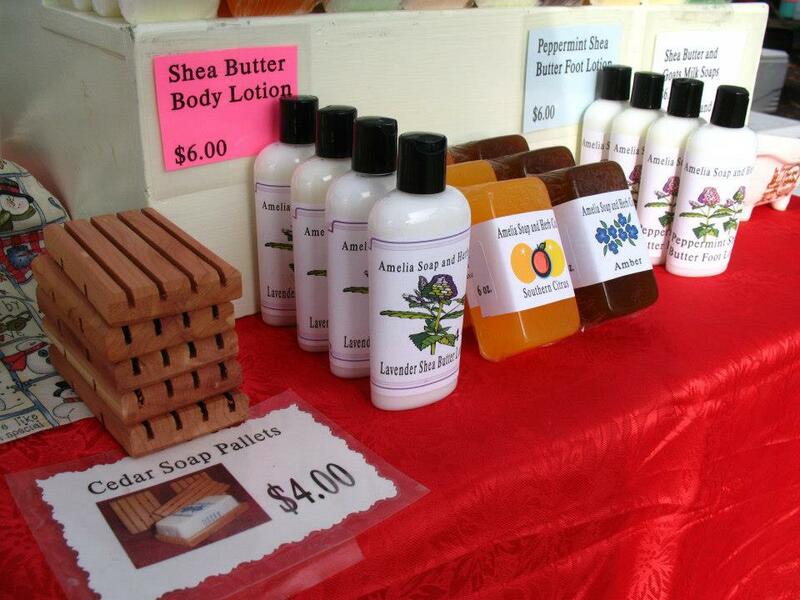 The Amelia Soap and Herb Co. We sell fine home made Shea Butter and Goats Milk Soaps, herbal and lavender products. Our soaps are made with fine organic oils and essential, and organic essential oils, the bars are 6 oz. and the last a long time. I have been in the soap business for 16 years, I was a jeweler before that, and worked with silver and gold. Walnut Hill Farm, I get my goats milk from Goats are Us. Country Side bakery. I’m in the bottom part of the market, I get there at 6:30 and set up. I’m usually ready to go at 7:30. I get a cup of coffee and walk around and visit other vendors. I then get ready for business. I love to spend time with my customers. It makes for a great day.